Buchanan is a phenomenal guitar player, be it electric or soaring bottleneck on a trusty old acoustic, describing his latest album as like "acoustic XTC meets Pet Sounds". It is beguiling, Beatle-tinged stuff, even if his gentle voice is overshadowed by his playing. A classy collection of contemporary power pop and crafted tunefulness, reminiscent of early solo Paul McCartney and even XTC. Fri Apr 15, 2011, 7pm, with Grooveyard. Pat will be on the Ellen Degeneres show on Wed 5 September - in Faith Hill's band. Watch it on NBC! 2 July 2007: New video - see News. November 2006 - Mojo review of "St George"
September 2006 - Joe Walsh photo. 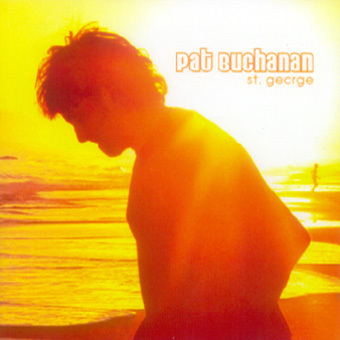 Pat's album: St George - released November 2005.